Packing light for a trip may sound easy, but how’s a girl to keep her travel OOTDs Instaworthy with limited luggage space? 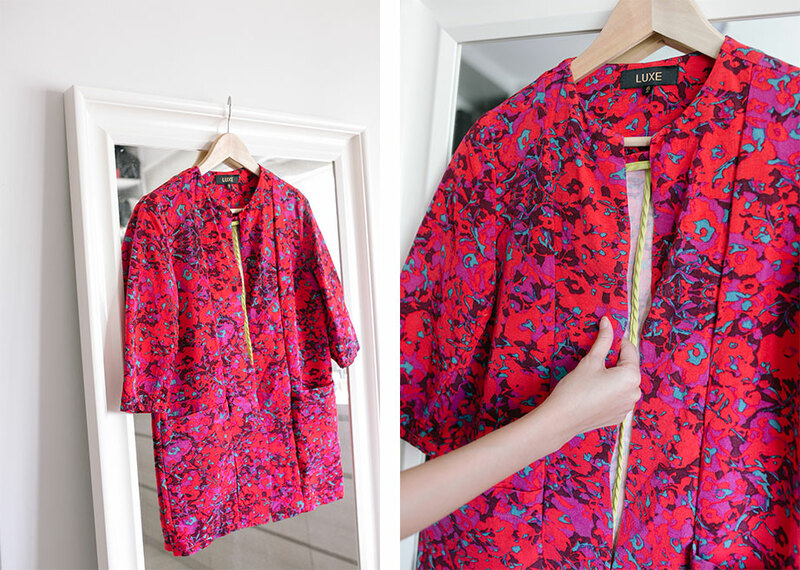 We get seasoned traveller (and Instagram fashionista) Jessica Tham (@tippytapp) to show us how she packs for her trips. 1. Bring a portable luggage scale. Are you an incorrigible overshopper? There there, we won’t judge. What you do need though, is a portable luggage scale to keep your overbaggage in check. The handy device clips onto the top of your luggage, and displays the weight when you lift it up. You can get luggage scales from stores like Howards Storage World, Samsonite or most major department stores. 2. Make a statement with your outerwear. As fun as winter OOTDs may be (we Singaporeans are quite deprived of this, if you must know), thick knits and heavy coats take up way more space than light summer clothes. If you have limited luggage space, keep your base outfits neutral and bring a statement coat or two instead. 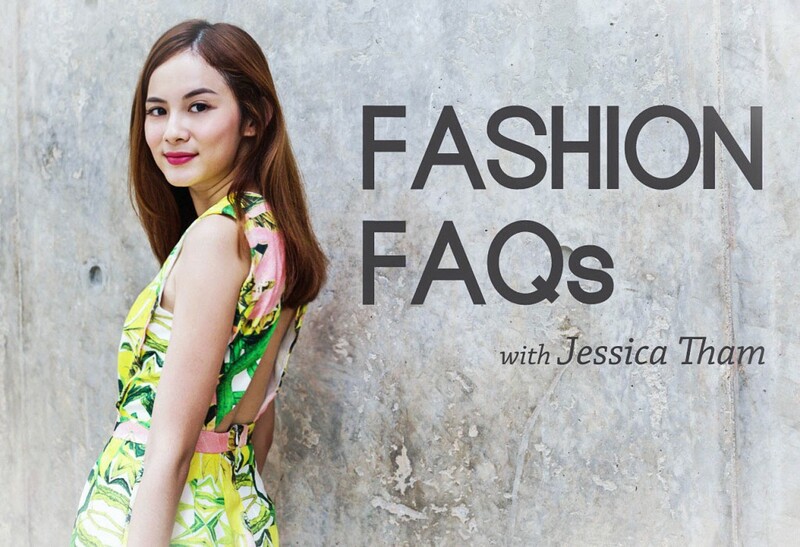 That way, you can still have your Instaworthy OOTD, without having to pack too many outfits. 3. Thermals are a must. Travelling to somewhere cold? Bring a set of thermals to wear under your clothes. As unsexy as they may be, thermals will keep you toasty warm under your Instaworthy OOTDs – which, let’s face it, may not always be the most practical of outfit choices. Ahem. Go on, admit it – how many times have you worn a pretty but completely impractical outfit just for the ‘gram? You can get thermals at stores like UNIQLO or Coldwear in Singapore. 4. Stuff spare handbags with clean clothes. If you are bringing more than one handbag on your trip (which you know you are), replace the stuffing inside with clean clothes or socks instead. This way, you can save some space and keep your handbag in shape during the journey. 5. Stuff shoes with socks. To save even more luggage space, stuff your stockings or socks into structured shoes like sneakers or boots. Doing so will utilised unused space, while also keeping your shoes in shape. If you are at your maximum luggage limit though (hey, we’ve all been there), a quick trick is to just wear your heaviest pair of shoes on the flight. Once you get onto the plane, switch to a pair of bedroom slippers and your tootsie will still be comfortable on the flight. 6. Keep a scarf handy. 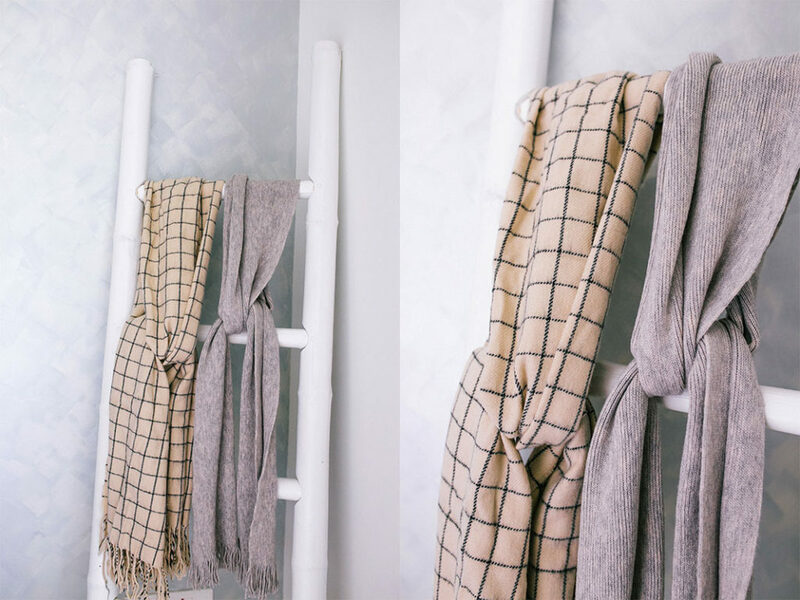 Even if you already have a sweater for the plane, a scarf might still come in handy. You can use it as a blanket or pillow on the plane, or to shield yourself from the sun or rain when you land. Plus, scarves always add a nice pop of texture or colour to any winter OOTD, no? 7. Compartmentalise with luggage organisers. Tired of digging through your luggage for an acceptable outfit in the morning? 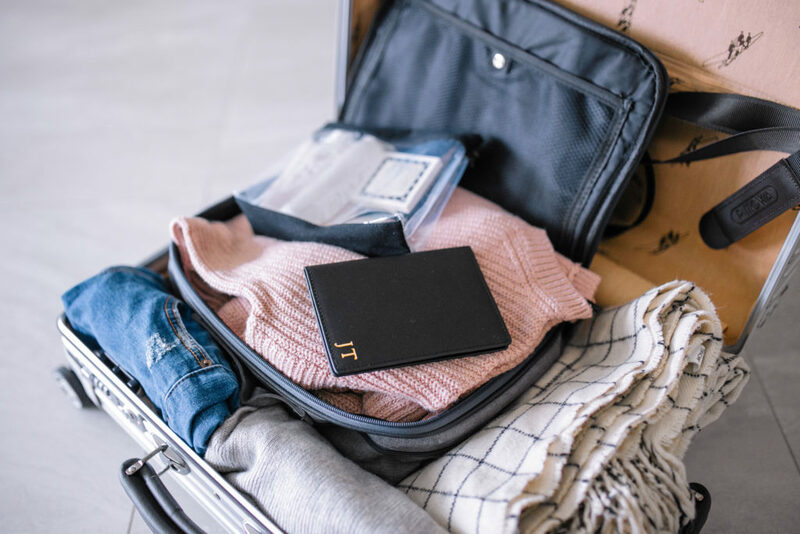 Here’s a simple but effective packing tip – compartmentalise your belongings into luggage organisers, which can easily be found on Taobao or Qoo10. Packing your clothes separately from your shoes, accessories and toiletries will prevent unwanted stains or creases, and it makes unpacking much easier. 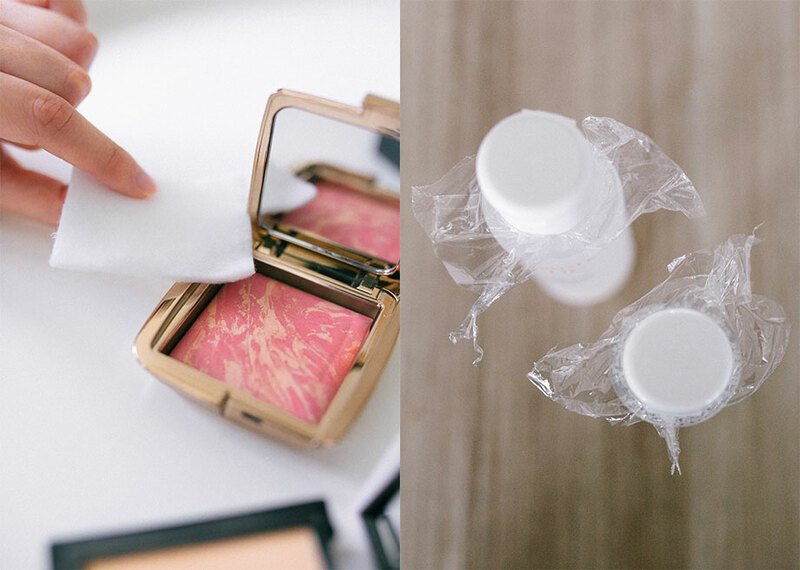 There’s nothing worse than arriving at your hotel to find that your favourite blusher has cracked, or that – gasp – your skin toner has leaked all over your luggage. Prevent unwanted makeup mishaps by securing your toiletries before packing. To prevent cracks in compacts, place a cotton pad inside to create some extra padding. To prevent bottle leaks, cover the mouth of the bottle with a sheet of clingwrap and secure the cap over it. 9. Keep toiletries in a waterproof pouch. Instead of chucking your toiletries into any random bag, be sure to store them in a waterproof pouch to prevent any leaks. If you are packing a set of toiletries into your handcarry luggage, remember to place them in a clear pouch as per travel regulations. 10. Download a travel app or two. OK, this isn’t quite a packing hack, but it might come in handy on your travels. 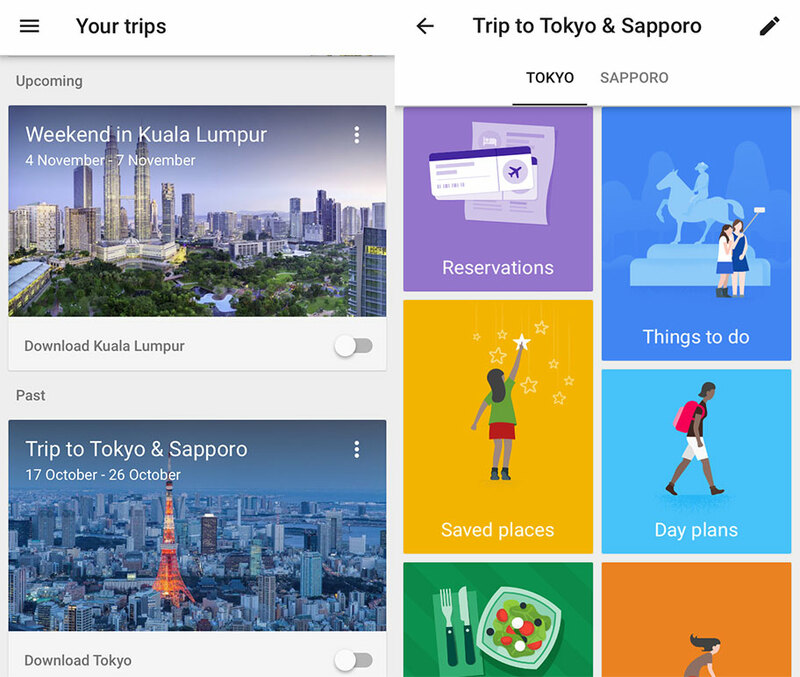 Travel apps like Google Trips links with your Gmail account to provide essential information for your trip – reservations, itineraries, currency information, transport options and emergency numbers. You can also explore things to do in the city you are travelling to, and save places of attractions that you want to check out. If you are travelling from Singapore, the Changi Airport app is a good one to keep track of flight updates, gate information and departure times. The app also has a directory of shops and restaurants at Changi Airport, with information on ongoing promotions and discounts for travellers.